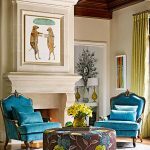 I became a life-long fan of Connecticut interior designer Lee Ann Thornton of Thornton Designs several years ago (you’ll see why here!) so I was ecstatic to see her work featured on the cover of March’s House Beautiful! 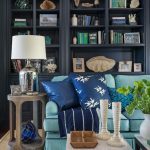 Lee Ann shared more photos of the Old Greenwich home taken by photographer Karyn R. Millet on her blog, and I couldn’t resist sharing them with you! 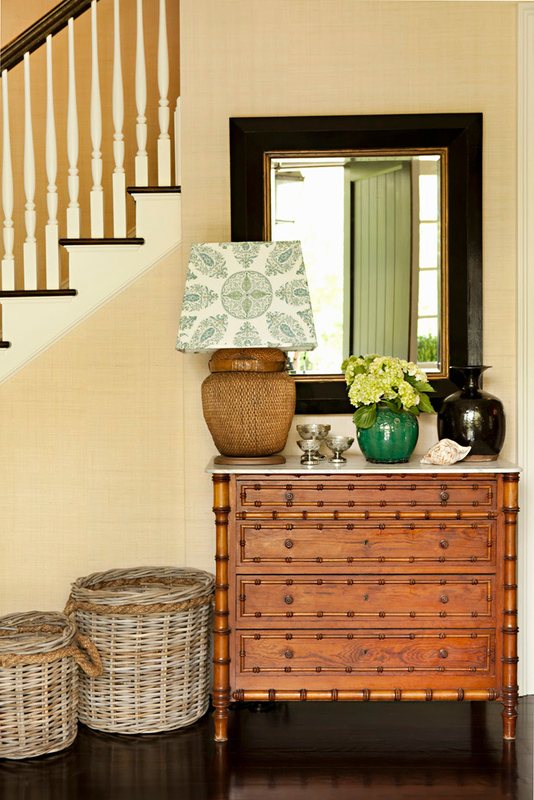 Such peaceful colors and natural textures everywhere, all inspired by the seaside location of the home. 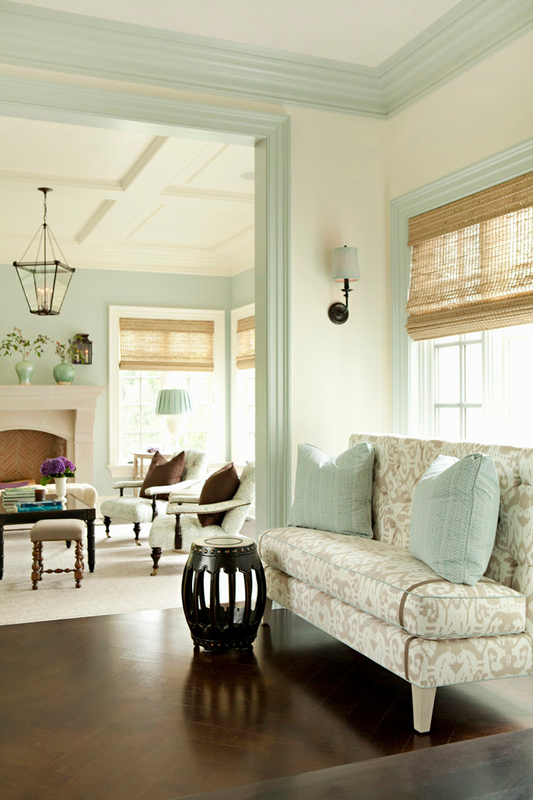 I adore the blue that Lee Ann custom-mixed for the living room walls and gallery trim, and the fabulous Quadrille fabrics she chose for those spaces. And I love the pops of orange in the bedroom! For more photos and info, visit Lee Ann Thornton’s blog It’s Everything I Love! I love all the lanterns! 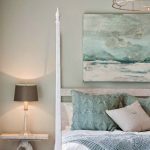 What is the blue wall color? so soft! Love her work and I follow her just to see what else that talented lady brings our way! Oh my goodness, I adore this home. I love the reverse painting of the two rooms. Such a neat idea and such beautiful colors. Lovely decoration. The bedroom makes me stunned. Chosen colors are nice. 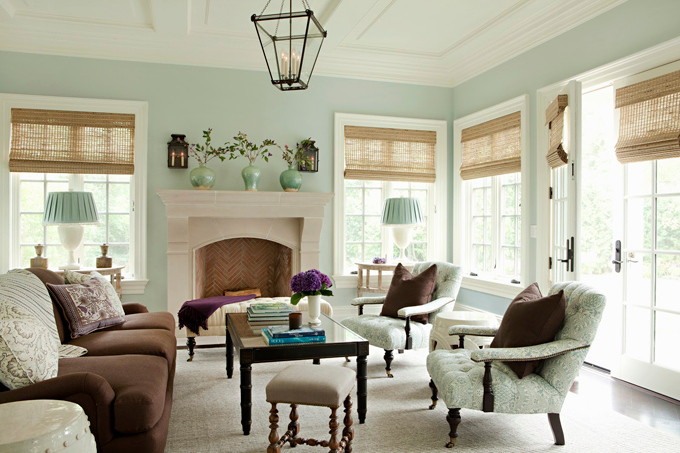 So nice and soft colours, loved the textures of living room. Interior Design may be homes are brought back to glory.This is nice leaving room with good decoration.I love when homes are brought back to glory.